With thanks to Derek Holmes and James Kidd. The photograph contains George Sanderson who is on the third row and fifth from the left and who was killed in the first war in 1916. 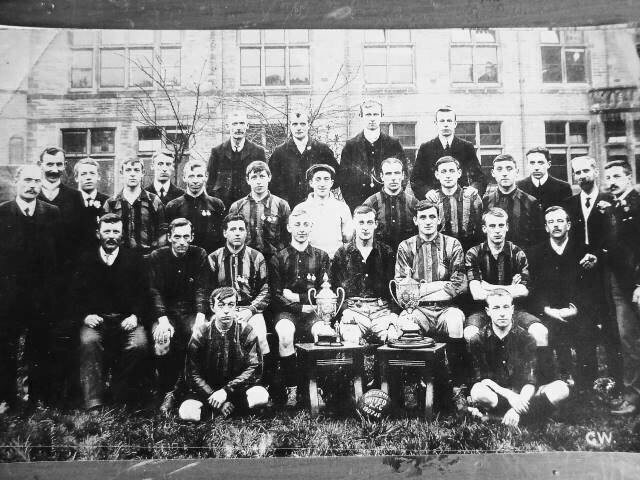 The Keighley and District League was formed in 1905. My grandfather was the goal keeper. 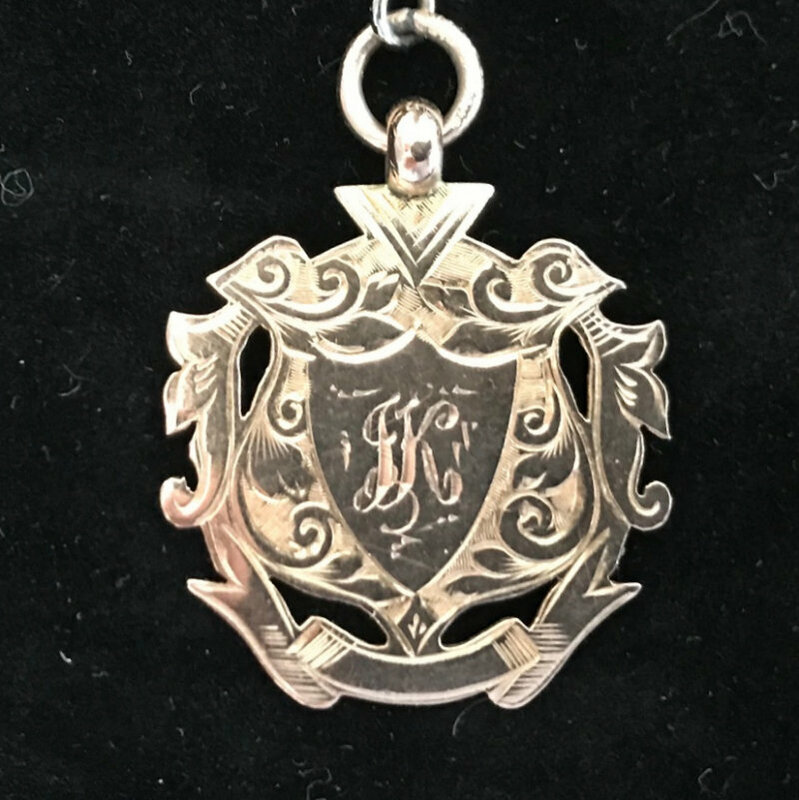 His name was James Kidd. 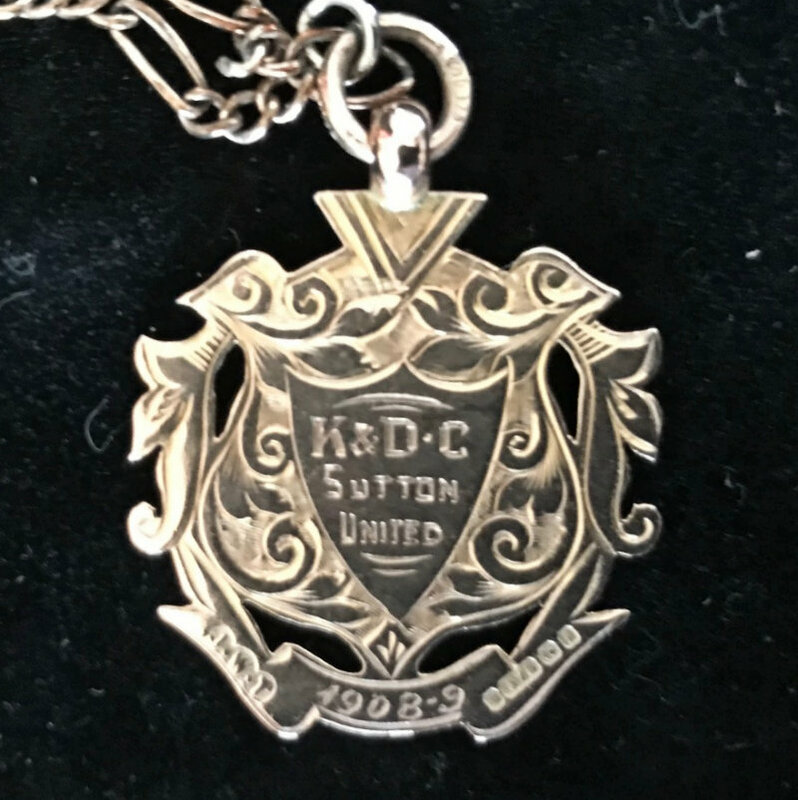 Below are the photos of the front and back of his gold Sutton United Keighley DL medal, this was from the 1908-09 season.